Apple has spent the last decade building and improving Mac OS X, fusing the classic Mac OS and technology acquired from Steve Jobs’s Next into an impressive mainstream operating system that’s widely considered the best in its class. But after a decade of constant advancement and regular operating-system upgrades, Apple has taken a pause with the release of Snow Leopard, also known as Mac OS X 10.6. Instead of adding hundreds of new features, Apple has chosen to use Snow Leopard to cut ties with the past, plan for the future, and take dead aim on its present competition. The Snow Leopard installation process is somewhat different from previous OS X installers. Rather than requiring an immediate restart, a lot of it takes place as soon as you double-click the installer. In essence, Apple has taken the wait out of the process: Now you set up all your installation settings and walk away; the rest of the process (including a reboot) can take place without your direct intervention. And the installation process itself takes less time in Snow Leopard than it did in Leopard. 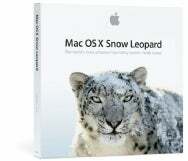 Find out what you need to know about installing Snow Leopard. If you choose to customize your installation, you’ll notice that the installation of printer drivers is entirely different in Snow Leopard. In previous versions of OS X, you had the option of installing drivers for the printers of particular vendors. That was always a bit confusing: If I don’t install HP drivers now, does that mean I won’t ever be able to use HP printers? But Snow Leopard doesn’t work that way. Instead, it automatically installs drivers for printers your computer has used in the past. If you’re on a network, it installs drivers for the connected printers it finds out there, too. And it installs drivers for printers Apple considers popular. The revamped installation process doesn’t require an immediate reboot and saves space by changing how printer drivers are installed. Apple has boasted that Snow Leopard requires less hard-drive space than earlier versions of OS X; believe it or not, this revamped print-driver system is the reason for most of that space savings. Turns out most of us are wasting gigabytes of hard-drive space on printer drivers that we don’t need. What happens if you encounter a strange, new printer? If you’ve got an Internet connection at that moment, you shouldn’t have much trouble: Snow Leopard will automatically download and install the drivers it needs. If you really need bullet-proof, instantaneous compatibility with a vast array of printers, you can opt to install all the drivers—you just won’t realize the disk-space savings you might have otherwise. But for most of us, Apple’s new printer installation method should be all but invisible—except for the reclaimed disk space. There are some other notable options in the customized installation window. Rosetta, the technology that enables code compiled for PowerPC chips to run on Intel chips, is available—but is not installed by default. Rosetta only takes up a few megabytes of drive space, and without it older programs simply won’t run, so if you have such programs, that option is worth checking. To find out if an App is PowerPC only, select an old app and choose Get Info; if its Kind is listed as Application (PowerPC), it needs Rosetta. If you don’t, and if you later try to launch a PowerPC app, Snow Leopard will pop up a window to explain that you need Rosetta and offer to install it for you (via Apple’s Software Update utility). I can only assume that making Rosetta optional is an attempt by Apple to goad users to upgrade their apps and to shame developers who still haven’t recompiled their apps to run on Intel chips. But given that most everyday users have no idea which of their apps are Intel-native and which are PowerPC, this seems unnecessarily harsh. Another technology making a surprise appearance in the installation-options list is QuickTime. 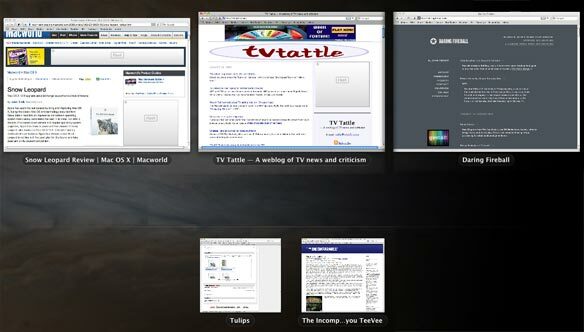 No, QuickTime hasn’t suddenly become optional in Snow Leopard. But Snow Leopard’s new QuickTime Player is as radical a departure from the old model as iMovie ’08 was from iMovie HD: it’s a complete reimagining of the app, one that strips away many features that many of us find useful. If the Mac you’re upgrading to Snow Leopard includes a QuickTime Pro key, you’ll find that QuickTime Player 7 is still on your Mac, but has been moved to the /Applications/Utilities folder. If you don’t have a QuickTime Pro key but still want access to the classic QuickTime 7 player, you’ll need to do a custom install in order to get it. Unlike previous OS X updates, which offered major new additions or modifications to the Mac interface, Snow Leopard looks largely the same as Leopard. There’s been no radical rethink of the color scheme or toolbars and menu items. However, Apple has done some functional tweaking, most particularly with the Dock and Exposé. Snow Leopard’s Dock, which underwent a face-lift in Leopard, appears unchanged at first glance. I’m ambivalent about one cosmetic difference: If you Control-click on any item, you’ll see that the contextual menus are no longer the standard black-text-on-white-background seen elsewhere in OS X. Instead, they sport white text on a translucent black background. It matches the look of the Dock, I guess, but that’s about it. You can now navigate into and out of folders from right within Stacks. On a more substantial note, the Dock’s Stacks feature is now a lot more useful. You can now scroll through Stacks when in Grid view. That enables you to see much more of what’s in a particular folder—which helps a lot if your Stacks folders contain lots of items. 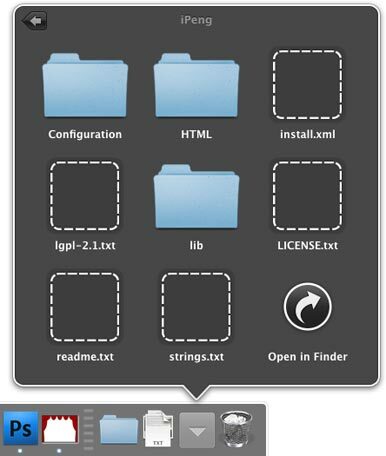 You can also click on a folder to drill down into its contents, displayed right within Stacks. It’s been enough to make me actually use Stacks’ Grid view regularly for the first time, with my Downloads folder. I’ve never been a big fan of OS X’s handling of minimized windows (which dates back to the original release of Mac OS X). Despite the whizzy animation effect, I never liked the business of pressing a yellow button in the upper left corner of a window to banish it to a Phantom Zone in the corner of the Dock, where it would hang around with the other banished windows, along with other files and folders I had dragged there. It made the Dock a mess, I could never remember what I had stuck down there, and if I clicked on the wrong one windows would fly out of the Dock, unbidden. Which is why I never, ever press that little yellow button. The Dock’s new dark contextual menus indicate with a diamond that two windows have been minimized into Safari’s Dock icon. Fans of the yellow button, fear not: by default, Snow Leopard still minimizes windows the same stupid way Mac OS X has for the last ten years. For us complainers, though, there’s a new alternative: A Minimize Windows Into Application Icon checkbox in System Preferences’ Dock pane. With that box checked, when you click on that yellow button, your window will still fly away into the Dock. But instead of disappearing into the mess on the right, it will minimize into the icon of the application it belongs to. That makes it easy to bring the window back. (Minimized windows are indicated in most programs by a diamond in an app’s Window menu; you can see that same list by Control-clicking on the app’s icon in the Dock.) Even better, this feature works with Exposé: When you invoke Exposé, all minimized windows line up together at the very bottom of the screen. Exposé’s been improved, too. My favorite addition is that, when you click and hold on an app’s icon in the Dock, Exposé displays all the windows belonging to a given app. For people who use the mouse more than the keyboard (sorry, geeks, we keyboard-dominant types are in the minority here), it’s much more natural than fumbling for a function key. (Or, if you’re like me, punching all the function keys in turn until you finally find the right one.) It even works via drag and drop: Drag an item onto an app’s Dock item and hover there for a split second, and Exposé kicks in. You can drag your item over a particular window, which will bring it to the foreground. Then you can drag and drop that item wherever you want it within that window. It’s a smart addition that makes Exposé much more of a productivity boost. This Finder icon is not only gigantic (512 x 512 pixels), but it’s playing back live video. If Snow Leopard is all about keeping outward appearances the same while making big changes under the hood, the Finder is the epitome of the new OS. The original Finder was built back in the early days of system development using the Carbon development frameworks; the main goal then was to ease the transition from the classic Mac OS to Mac OS X. In the past few years, though, Apple has sent a clear message that building apps in Carbon doesn’t have much of a future, especially when it declared that the next generation of 64-bit applications would all have to be built using the rival Cocoa frameworks. Almost every app in Snow Leopard is now 64-bit-capable; that means old apps that relied on Carbon frameworks had to be rewritten using Cocoa. And that’s what Apple has done to the Finder—though you wouldn’t know from looking at it. With the exception of some changes to icon display (they can be as huge as 512 by 512 pixels, you can adjust icon sizes right within the window via a handy slider control, and you can page through PDFs and play videos right within their Finder icons), there’s not much new here. Those giant icons are generally useless in most instances, at least until Apple finally makes Mac OS X resolution-independent, so that gorgeous 512-by-512-pixel icons can be small and incredibly detailed, rather than the computing equivalent of the oversized novelty check traditionally given to lottery winners. Apple says the Finder should feel more responsive now that it’s running in 64-bit mode and takes better advantage of multiple processor cores due to its use of Grand Central Dispatch (more on that later). The Finder still has its occasional hiccups, but Apple has done a good job of making it more efficient. And Finder dilettantes will be thrilled that Apple has finally gotten the behavior of the oblong button at the top right corner of the window bar right—it makes the toolbar and sidebar vanish with a neat animated effect, but otherwise leaves the window looking just like it did before. iCal’s Exchange support includes group scheduling for meetings.